Lindsay and I are both budget travellers and thus spent countless hours discussing activities and budget over the phone and Skype. We both agreed that we were willing to spend a little more for the opportunity to go cave tubing in Belize. And I must say, it was my favorite activity out of the whole trip! There are plenty of places to go cave tubing in Belize. We did some research and found out that the best tour company is Vital Nature and Mayan Tours, or often just called Cave Tubing Belize. After our tour I would have to agree, although I have nothing to compare it to, but I wouldn’t go with another company if I ever go back to Belize! I emailed the company prior to our departure to Belize and received a prompt reply within 24 hours from Vitalino. 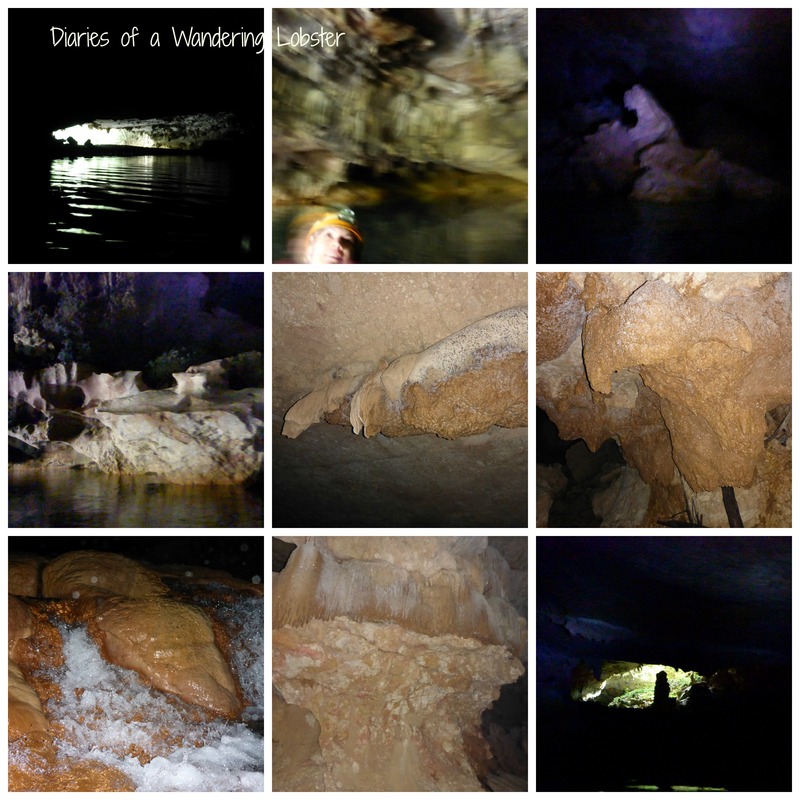 We were able to make reservations for May 16th for the sunset cave tour. We asked if they would be willing to pick us up at the bus station in Belmopan and then drop us off at our hostel in Belize City afterwards. They said they absolutely would! For $75 USD each we got our transportation to and from the tour base, the cave tubing tour, dinner, and rum punch! If we had more people with us, it was just the two of us, the price would have been even cheaper. 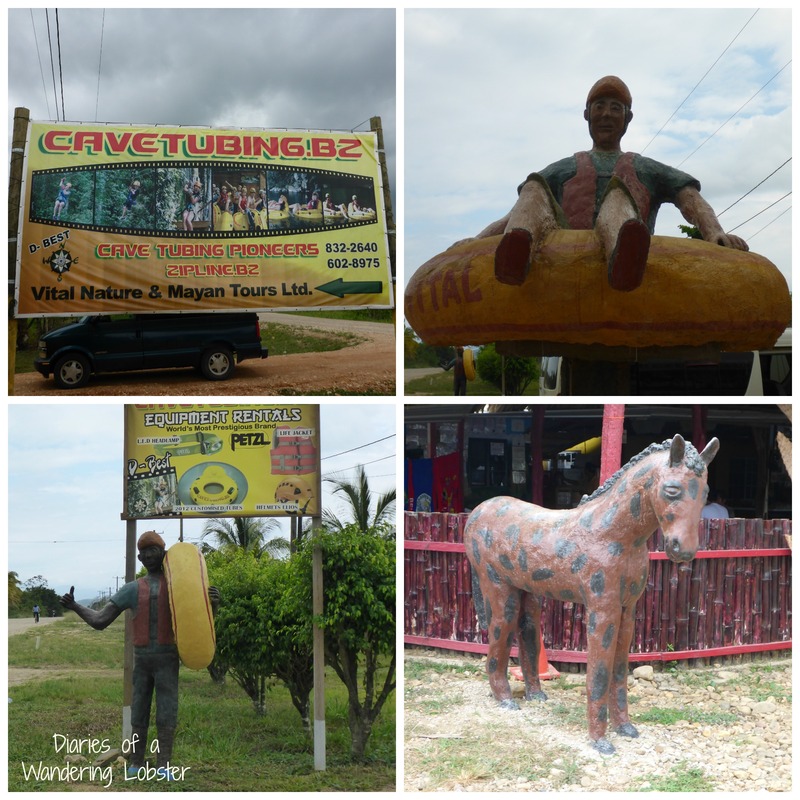 Cave Tubing Belize is located at Mile 37 on the Western Highway, which is the main highway that runs all the way from Belize City to the border of Guatemala. The tubing actually happens a few miles down the road from Cave Tubing Belize’s headquarters at the Nohoch Che’en Branch Archaeological Reserve. 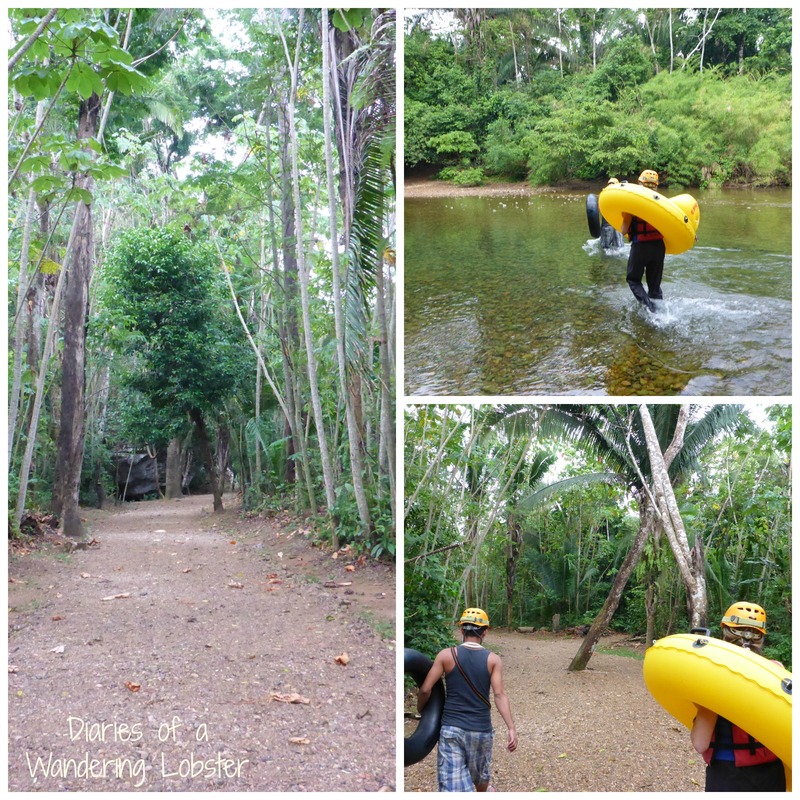 Caves Branch River is a lazy river that winds through a network of five limestone caves. It is believed that the Mayan used these caves between 300 and 900 AD for religious ceremonies to petition their gods to nourish their fields and provide bountiful crops and game. First you will arrive at Cave Tubing Belize’s headquarters to pay and possibly eat lunch or you may eat after the tour depending what time you depart. Then you will hop into one of their 16-passenger vans to head the few miles down the road to the park. Admission to the park costs $5 USD and is included in the cost of the tour. Here you will change into clothing suited for water. I wore my bathing suit with running shorts and a tank top. The water temperature is about 70 degrees Fahrenheit so don’t worry about wearing a ton of layers or even a wetsuit. Your guide will hand you your helmet with headlamp attached and your tube. Our tour guide was named Walter. He is 25 years old and lives in the local village nearby. He is a Mayan descendent and speaks Spanish as his first language. He speaks excellent English, although he will tell you it is “not so good.” He is quite the character and I would highly recommend him as your tour guide! To reach the beginning of the caves you must walk through the jungle on the nature trails. 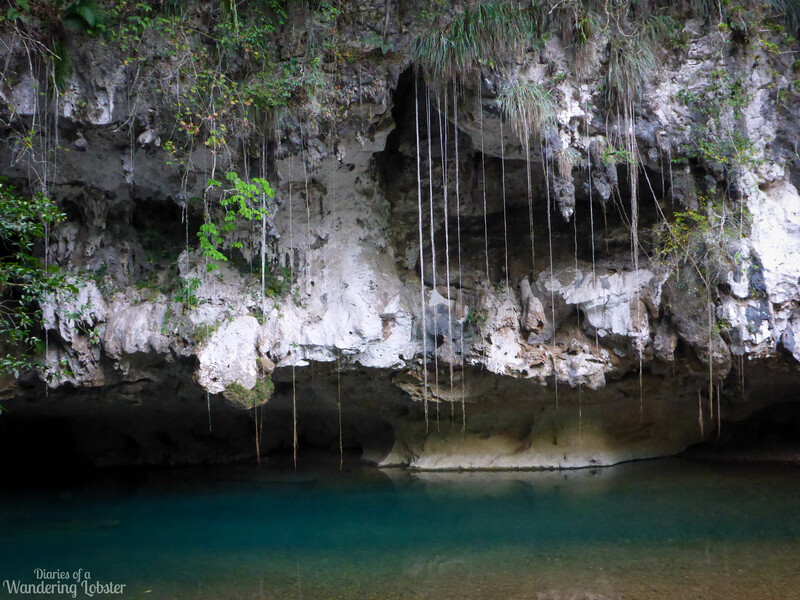 This is one main things that sets Cave Tubing Belize apart from the other tour companies. 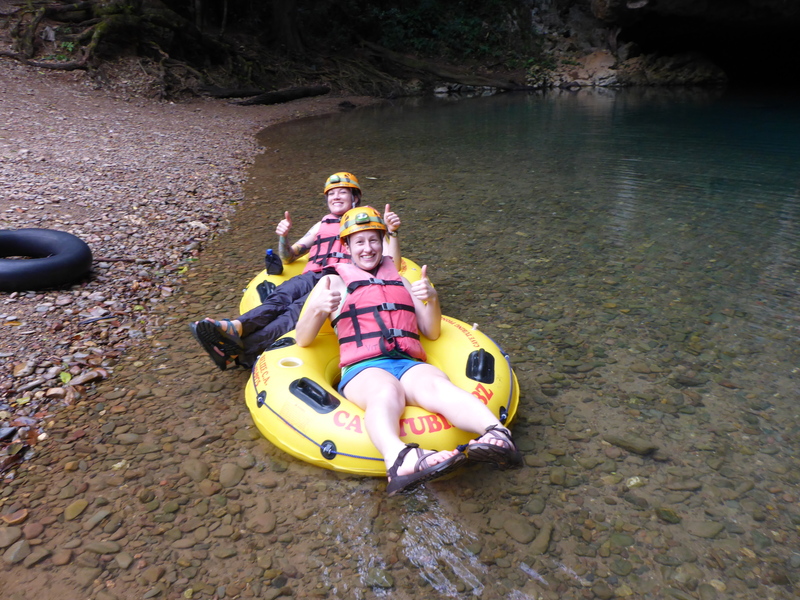 Cave Tubing Belize takes the time to show you the various wildlife and flora of the jungle. The walk can vary on time and distance depending on where you start on the river and how fast you walk. You definitely want to wear some sort of water shoes. No flip-flops are allowed. If you don’t have a pair of sandals or shoes that you don’t mind getting wet then you can rent water shoes for about $5 USD. Flora from the jungle, including the “tatto plant” (top left), the mahogany tree, Prickly Yellow tree, Termites, a cashew, and finally a pineapple! We began the tour by walking across the river. The river in May is very shallow, but obviously gets higher in the rainy season. There is a pole with painted marks (yellow, orange, and red) that the guides use as a measure to determine if the river is safe for tubing. Some of the caves have low ceilings making the float impossible to complete if the water is too high. As we were walking, Walter showed us various plants and fruit. One of the plants Walter pointed out to us was the “tattoo” plant. I wish I knew its common name, but it grows in the Belizean jungle and the Mayans have used it for centuries to create temporary tattoos on the skin. Walter gave Lindsay a smiley face and I got a number “7” on my hand. It lasted for a couple of days because the “ink” is waterproof. As we walked further into the jungle he showed us the mahogany tree or Cedro tree in Spanish, which only grows in the jungle. I didn’t know that! There is a large Mennonite population in Belize and they use the wood from the mahogany tree to make furniture to sell. He pointed out the cashew tree, which we had seen in Tikal, but at the time didn’t know what it was. Walter knocked down a couple of the fruit for us to try. Surprisingly, the fruit was very juicy and sweet. The locals make wine out of the cashew fruit. We spotted a couple of howler monkeys way up in the trees. Unfortunately we couldn’t coax them to come down a bit for a closer look. After about 45 minutes to an hour of walking through the jungle, we came to the beginning of the cave. Walter had knocked down a couple of small coconuts earlier for us to eat and spent about 10 minutes breaking them into pieces with a rock. After a little snack, we got into our tubes to begin our journey. I was amazed how crystal clear and blue the water was. It was stunning! Walter tied Lindsay and I together in our tubes and placed himself in front in his little rubber black tube. Our tubes were big and yellow with a back rest and a cup holder. We were riding in style! Before we began our walk in the jungle, Walter told us that he would tell us “butts up” and it shouldn’t be confused with “what’s up.” The water its extremely shallow in some spots, like not even an inch of water covering the rocks. So when Walter said “butts up” he wanted us to lift our bottoms up so he could pull us over the rocks to continue down the river. Cave tubing with Cave Tubing Belize! Walter told us that the normal person to guide ratio is about 8 to 1. I couldn’t imagine what it was like for him to pull and swim while tugging 8 people behind them! We only had time to meander through one cave, but the cave was about a half a mile to one mile long. Walter pointed out various rock formations. He pointed out numerous stalactites, which hang from the ceilings of caves and form through deposition of calcium carbonate and other minerals. They only grow a few centimeters a year and take thousands of years to grow. He also pointed out a few stalagmites, which rise from the floor and grow similar to stalactites. Over thousands of years, stalactites and stalagmites can grow together to touch and create a column. Each rock formation Walter pointed out to us looked like various animals and things. It was similar to playing the cloud game as a child. It took us about 30 minutes or so to float through the cave. At times the water was about 20 feet deep and at other times it was only about 2 inches deep. We emerged from the cave and continued floating down the river till the end point. 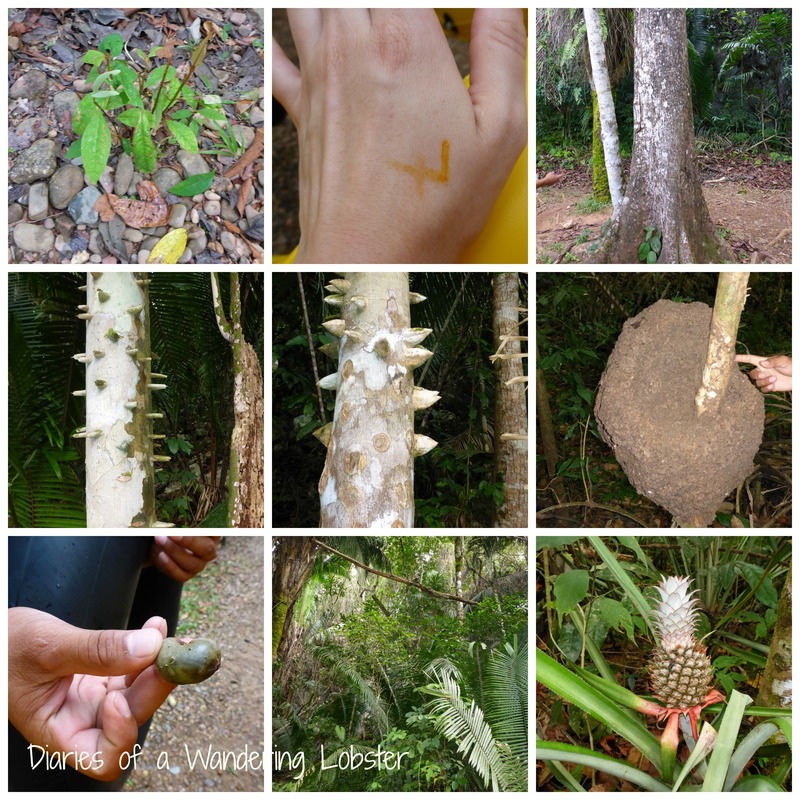 Walter pointed out more jungle plants and even plucked us an allspice leaf to try. I didn’t even know allspice was its own plant. I always though allspice was a combination of various spices. Clearly, I’m very uneducated about spices! Finally we were back where we started. We were able to change at the bathrooms and waited for our driver to return to bring us back to headquarters. When we arrived back at Cave Tubing Belize headquarters, we had a take-out container filled with a hot supper. The cooks also filled sippy cups full of rum punch for us on our long drive back to Belize City. Vitalino Junior drove us back to Belize City in his brand new truck. Lindsay and I had a great conversion about the business, what it is like to be a tour guide, and Belize in general. I think it was one of the highlights of the trip. Cave tubing was awesome and I highly suggest if you’re heading to Belize to try it! Cave Tubing Belize comes highly recommended by both TripAdvisor and Lonely Planet and I truly believe it is the best too. All the guides are certified tour guides and hold CPR and First Aid certifications as well. The equipment is top-notch and you can tell Vitalino takes pride in his guides and company. We chatted with him a bit at headquarters and he has the cutest little daughter. Cave Tubing Belize also has their own zip line course nearby. They offer full day and half day tours. One of the full day tours is through the Crystal Cave system which will take you through all five caves. I wish we had done that one! You can find out more about their tours on their website.